Japanese Prime Minister Abe Shinzo’s speech to mark the 70th anniversary of the end of World War II was destined to be a Rorschach test for listeners. There was almost no chance that the prime minister would assuage all his critics; at best, he would win over some fence sitters. He seems to have done just that. But amidst the controversy surrounding the speech, it is important to distinguish between the man making the statement and the country he leads. Of course, as prime minister Abe speaks for Japan, but overwhelming evidence makes clear that questions about his intentions apply only to a narrow slice of the country. What then is there to complain about? The statement is consistent with its predecessors and there is no missing the contrition and sense of responsibility. If one has suspicions about the prime minister’s intentions, however, then more intense scrutiny is demanded and the focus shifts from the contents of the statement to the omissions. And there is ample fodder for critics. For example, there is no explicit mention of Japanese imperialism and colonialism; it is inferred. The prime minister is capable of short, declarative sentences elsewhere, why not here? Second, there seems to be as much attention to the sufferings inflicted on the Japanese as those Japan inflicted. Third, while there is mention of the special suffering of women, Abe didn’t refer specifically to comfort women. Then there is this claim: “the postwar generations now exceed eighty per cent of its population. We must not let our children, grandchildren, and even further generations to come, who have nothing to do with that war, be predestined to apologize.” For those who have insisted Abe is indeed a revisionist, this is their proof. There is, however, a kernel of truth in that statement: past bad acts cannot be projected endlessly forward into the future. Yet, even Abe notes that 20 percent of the population is still of the wartime generation and others, like himself, have a direct, visceral connection to that past. In his case, it is through his grandfather, former Prime Minister Kishi Nobusuke, an official responsible for economic development in Manchukuo, minister of munitions in one of the war Cabinets, and an arrested but never indicted Class A war crimes suspect. Ultimately, doubts about the statement issued last week are doubts about the prime minister himself. If another Japanese politician, unencumbered by the suspicions that swirl around Abe, were to have made it, then there would likely be little ground for concern. This is a critical distinction that has been virtually ignored in discussion of the 70th anniversary statement (and the run-up as well). As prime minister, Abe speaks for the nation, but his views are distinct from that of a majority of Japanese. Contrast Abe’s remarks with the statement on August 15 by Japan’s emperor to mark the same anniversary. He expressed “deep remorse” for his country’s actions during the Pacific War, a sentiment that not only went beyond that of the prime minister but also showed more contrition than he has expressed in every previous commemoration, when he instead used the phrase “deep sorrow.” The emperor is considered a strong supporter of the existing constitutional order in Japan and is reported to be profoundly disturbed by fervent displays of nationalism that use the symbolism of his office. 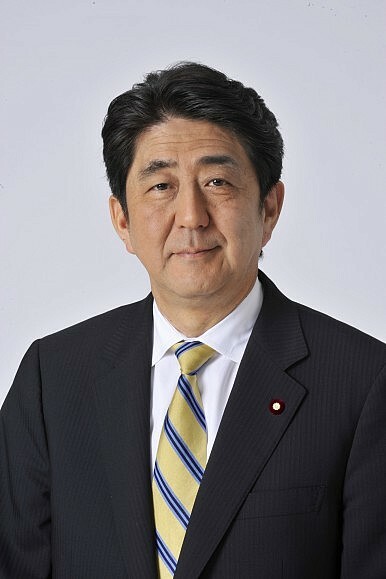 Most observers consider his Aug. 15 statement a rebuke of Abe. Or consider the August Mainichi Shimbun poll in which 47 percent of respondents agreed that the Pacific War was a “mistake, while 24 percent considered it an “unavoidable war” (and another 24 percent said they “don’t know”). A decade earlier the numbers were virtually identical: 43 percent called it “a mistake,” 29 percent said it was “unavoidable” (and 26 percent “didn’t know”). Some will worry that less than half the population considers the war “a mistake”; more significant is that a growing number of people believe that. Finally, there is the most compelling proof of all – the difficulties that Prime Minister Abe has had in advancing his agenda. To be sure he has done a great deal, but he has continually scaled back his ambitions. After campaigning on a pledge to amend the constitution, he has instead settled for a reinterpretation of that document, and the legislation to turn that new interpretation into law has been consistently whittled down and the circumstances in which it will be applied have been increasingly narrowed. Security experts and officials now warn that SDF’s new legal authority is likely to disappoint Japan’s allies and partners. Domestic resistance is proof that Abe’s ambitions are not shared by the majority of Japanese. His Cabinet approval ratings have been falling, a sign of public unease with both his style and his objectives. Interestingly, and consistent with this analysis, are the results of a Kyodo poll taken immediately after the 70th anniversary remarks: 44.2 percent of respondents approved of the statement, while 37 percent did not. (There was no breakdown of or explanation for the assessments.) Accordingly, the Cabinet’s approval rating jumped 5.5 percentage points. Yet – and most significantly – the public continues to resist new security legislation with 62.4 percent saying they don’t want the bills passed during the current Diet session and less than half that number – 29.2 percent – supporting immediate passage. Those who choose not to believe Prime Minister Abe and accept his good intentions should be reassured: their doubts are shared by many Japanese. They can be offended by him, but they should not be scared of him. Brad Glosserman ([email protected]) is executive director of Pacific Forum CSIS. His book, co-authored with Scott Snyder, The Japan-South Korea Identity Clash has just been published by Columbia University Press. It was originally published as a PacNet commentary with Pacific Forum CSIS here.